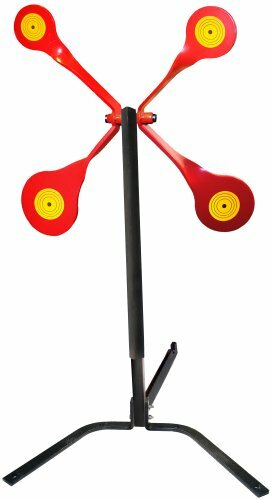 The Spin Cycle Targets are part of Do-All Outdoors Pro Range Series and designed for the most serious shooters out there. This Spin Cycle Target is rated for .22/.17 Calibers. It is designed so that when either of the 4 larger targets are hit, the entire side will spin and automatically reset to its hanging position.